Two nuns from the Little Sisters of the Poor in Baltimore were robbed by a Grinch who stole half of the presents they bought for hospice residents. But, in a possible show of guilt, the thief abandoned the goods after the nuns told him they would pray for him. Sister Joseph Caroline and Sister Bernadette were wheeling two carts of gifts out of Costco in Elkridge, Maryland, when they were approached by a man who offered to help. “We just thought it was a good Samaritan and he was there out of the willingness of his heart and the holiday spirit," Sister Caroline told WBAL-TV. 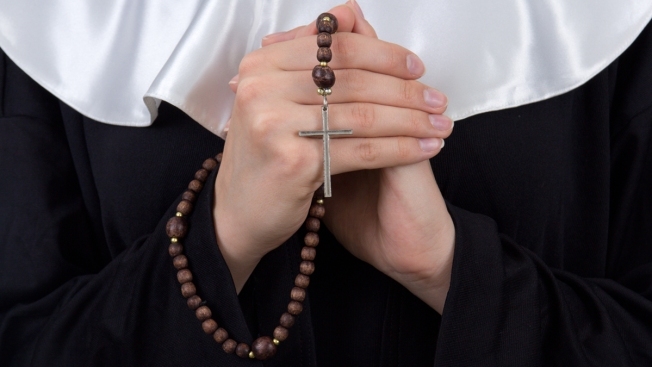 The man helped the nuns, and the nuns thanked him and told him they would pray for him. When the nuns got home, they discovered that half of the gifts they bought were missing. They considered filing a police report. Before they could, Costco called and said the presents were found abandoned in the parking lot. Sister Bernadette told WBAL that she believes that when she looked the man in the eye and thanked him, his heart softened. The presents were meant to go to the elderly, hospice residents and employees.